I search her face for a trace of my face. I don’t see any resemblance. Maybe, just maybe, there is a hint of my daughter in her face. My mother didn’t like photographs of herself and tended to avoid eye contact with the camera. She didn’t think she was pretty. To me she was beautiful. On that, my dad and I agree. I hug him awkwardly, neither one of us very good at it. He resumes cataloging his assets for me, verbally, so that when he dies I will be able to deal appropriately with all the stuff accumulated in the house. If nothing else, he has always been meticulously careful about my financial wellbeing. But it’s not just a catalog. Each item has a story. I only half listen because he’s been pontificating at me for 54 years and I have always dealt with it by only half listening. I will myself to pay attention. There are 3 violins and 5 bows. The Nicolas Lupot violin has some value. It’s an early Lupot – not one of the later, better ones. Nicolas Lupot was an 18th century French violin-maker in the style of Stradivarius. The Lupot is not the violin he is playing right now. I’m not sure why. It needs to be repaired perhaps? I try to remember the name of the place where I should take the violins when he dies, should I want to sell them. Weaver’s? Potter’s? I think one of the violins might have been my mother’s. I’m not sure. I really should get clarification on that. They met playing string quartets, but my mom stopped playing after they got married. Relieved of what was mostly a chore for her. My dad, on the other hand, whispered to me at dinner the night before, “I don’t know what I’ll do if I can’t play any more.” Playing the violin is his lifelong passion. Even though his short-term memory is fading in an alarming way, (“Did we do anything yesterday?” he asked me this morning), and he has trouble adding the tip to the dinner bill, he practices the violin every day and plays string quartets once a week. It keeps him alive and in the house. I hope he lives as long as he can and then drops dead of a heart attack. The lingering withering away that my mother experienced is the worst…for all concerned. Every year when I visit, I take inventory of how he’s doing. Pretty well by all accounts. Not much worse than a year ago. Maybe better. He has his routines, and he has mostly mastered his grief. The house is clean, (cluttered but clean), thanks to Pauline, the woman who has been cleaning the house since 1964. But he now holds on to things for support, acknowledging that a cane may soon be in order. I harangue him about doing his balancing exercises. And really Dad, cut out the sugar! His nutrition information is from 30 years ago and frankly he doesn’t really care. Why should he. Even though his post lunch stupor prevented us from our annual outing to the National Gallery. I could not get him out of his chair. Out of his house. Out of his routine. Inertia. I am ambitious for him. For me. For us and our visits. This time, I will ask the meaningful questions. This time, we will have a special outing. This time, I will tell him more about me. Do children who live close to their aging parents and see them frequently feel as urgent with their visits? But, we fall into our habits. Overly protective of our private selves. It is not until the last hour that we really connect. Each year, I ratchet down my ambition. There is more patience and love in our quiet togetherness. I watered his plants, nurturing the living beings in the household. I read. I practiced yoga. I listened to the birds. Waiting for him. I walked around the house. Remembering. I looked at old photographs. The ones of me when I was growing up. The ones of my mom when she was younger than I am now. We walked around the neighborhood, remembering, and tut-tutting with mutual disgust and judgment at the hideous Mcmansions that have cropped up in our middle class mid-century suburban development. We went out for dinner. We watched tv. We remembered. Maybe it’s enough to just be together. If death is like Savasana, maybe we have nothing to fear. 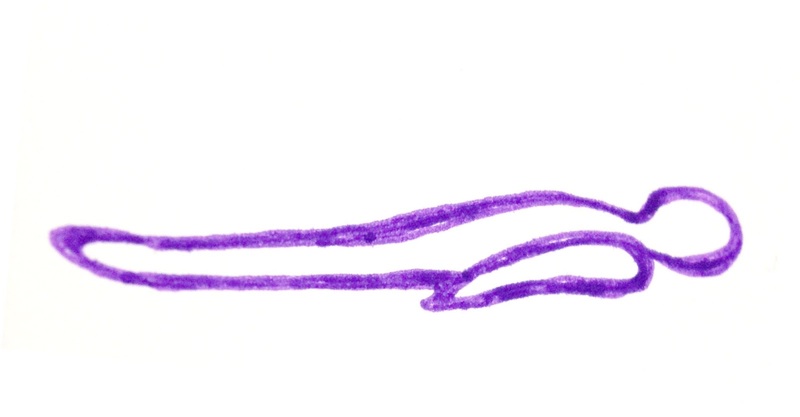 Savasana, the deeply restorative “corpse” pose at the end of yoga class, at the end of practice, at the end of life, is when you put aside the ups and downs, the effort and the ease, the breathing in and the breathing out. You just be. Usually, it is simply a sweet break at the end of class. Sometimes, it’s an impatient pause, the anxious to-do list intrudes. Every now and then, it is bliss. Nirvana. Samadhi. It takes a long Savasana for me to reach this point. (Take note yoga teachers! A 2-minute Savasana is not enough!) I float into a state of consciousness that is not awake, not asleep. Sometimes I see colors, feel tingling, radiate intense warmth. But generally I hover, aware of my soul, but not really aware. At these moments, it is profoundly enough to just be. But we fear death – for ourselves, for our loved ones – fighting our body’s evolution/devolution, attempting to stave off the inevitable with doctors, pills, and procedures, prolonging life until … until it is not life anymore. Don’t get me wrong. I’m in favor of life. I want to live to be old. VERY OLD! I am disciplined to the point of being obsessive with eating healthily, staying thin, keeping active. I plan to fight my evolution/devolution HARD! But maybe, for the person at the end of life, they are ready to rest in Savasana. Maybe we should help them go peacefully to a place of bliss. Maybe we shouldn’t hang on to them so hard, with doctors, pills, and procedures. My mother is nearing the end of her life. I visited her and my father last weekend, with my daughter. It was painful. Every aspect of their lives is focused on getting her to survive another day. He measures out her pills. He coaxes her to eat. He trains the aide on how he wants her bathed and dressed and exercised and which diapers are for the daytime and which for the nighttime. My mother has stopped speaking and spends most of the day sleeping, exhausted from being fed, medicated, bathed, dressed, exercised. It was the first visit where she was unable to exhibit much enthusiasm for my presence and none for my daughter’s. As an only child, the aging and inevitable death of my parents is an unshared burden. No siblings to mull over what to do. No siblings to compare notes with. No siblings to mitigate the dysfunction. Just guilt that I am far away and not doing enough. Just anger that there are still so many unresolved issues and things unsaid. Just grief at my beautiful and vibrant mother’s deterioration and regret at the adult mother-daughter friendship we were never able to establish. People tell me how lucky we are, how sweet it is that my father is so devoted to my mother. I smile and nod agreeably, not wanting to diminish his faithful attachment to her. It is taboo for me to tell them what I am really thinking. He is terrified of being alone. It is an act of selfishness to keep her alive. Let her go. Let her go to her Savasana. Every visit I am armed with good intentions to say more, to ask more, to do more. All with the goal of resolving the past, healing the present, trying to find more love and compassion for the future. I try. I never say, ask, or do as much as I intend. I tried waking my mother up in the mornings by offering her Reiki. If nothing else, perhaps it would be soothing to have someone she loves and who loves her offer her healing and loving touch. I tried to not be judgmental and annoyed with my father. He tried to not be judgmental and annoyed with me. Negativity begets negativity. In the midst of our awkward attempts to not succumb to judgment and annoyance, he tried to tell me I was a miracle. He tried to be interested and loving and not self-absorbed. I tried to appreciate his terror at being alone, his grief at losing his beautiful and vibrant wife. We tried. We took pictures. Is this last time I will see her? Is this the last photo I will have of her? I smiled, because that is my habit. It was not all painful – there was some joy in the visit. I am no longer sucked into the dysfunctional triangle that is formed by my parents and me. I can honor how who they are helped me become who I am. I can love them for that. My daughter was with me, thank God, and I am looking forward to being able to build, with her, an adult mother-daughter friendship. It begins now. Image Credit: Savasana sketch by Missy Briggs on her blog The Rascally Rabbit, used with permission. Thank you Missy! What Did You Learn From Your Father? I hope that my children will like me and my husband, their father, and that they will want to spend time with us when they are grown and we are old. For me, I choose to spend as little time as possible with my father. The only way I could become my grown-up self was to leave home. Whatever love I felt for him could not coexist with the suppressed rage I felt at the life-long expectation that I be obedient. “Children should be seen and not heard,” was his not-so-joking mantra. I rarely visit. I feel guilty that I don’t visit; that I don’t want to visit. My father’s grip on me is subtle but pervasive and insistent. I silently stay away, unable to fight his hold, unless I stay away. For Father’s Day, as we honor our fathers and fatherhood, I am sensitive to the poignant images of loving fathers. I wonder how many of us long for a relationship with our father that we didn’t have? I wonder if I can allow my anger and disappointment to recede for the day so that I can acknowledge what my father has given me? I wonder what his father did to him? Like me, my father was an only child. He describes his early childhood as being unsettled. While his father opted to continue his education because he couldn’t find work, my father and his mother lived with her parents. He was very close to his mother and describes her as adventurous and very smart and well-educated. His father was absent, preoccupied, and didn’t really understand my father. Like me, my father was a sensitive and introspective child. He discovered the violin around the age of 12 or so and poured all his energy into learning to play. When his father invited him to spend the summer in New York with him while he had a short-term job there, my father refused. He wanted to stay home and practice the violin all summer. What young teen refuses their father and what father accepts such a refusal? Didn’t the family function as a family or was it a collection of individuals? At a young age, my father prioritized his own pursuits over family and friends. Music formed the backdrop of my childhood. As a young child, I fell asleep to the sound of my father practicing his violin. On Saturday nights, he played string quartets with a loyal foursome who formed my father’s primary social circle. My mother and I would watch tv (The Mary Tyler Moore Show and The Carol Burnett Show). When they were done playing, they would have coffee and dessert. When I was older, I was allowed to join. I started playing piano when I was about 5. Endless years of practicing, lessons, and recitals. It’s amazing I wasn’t a better piano player. I would complain about practicing, but my father insisted. When I looked to him for approval after working on a piece, he would say in his undemonstrative way, “Hmmm, it was good,” which seemed the ultimate put-down. Of course, there was the recital where I forgot the notes, so my teacher brought me the music and I had to start over. Beyond mortifying. I found out much later that the reason my father did not become a professional violinist was that he had severe stage-fright. Around 7, he introduced the violin to me. What a mistake. Screechy and my father’s instrument. I quit. Then there was the year when I played the flute, around 9. When my father revealed that violinists don’t like flautists because they compete for the same melodic line, I quit. Later, around 11, he persuaded me to try the cello. He explained that I didn’t have to be as much of a virtuoso to get an opportunity to play. Somewhat of a backhanded rationale, but I complied, as usual. More practicing, more lessons, more recitals and competitions. It’s amazing I wasn’t a better cellist. My mother says I was a very good cello player, that I got a deep and robust sound out of the cello that spoke to her. My father hangs on to my cello asking periodically if I wouldn’t like to take it back to my grown up home. Maybe next time. When my husband and son took up the guitar two years ago, I contemplated joining them, gently strumming the guitar, picking at the notes and paging through the instruction book. I enjoyed their lessons and usually beat everyone at “Name That Tune.” No. I didn’t want to practice an instrument any more. The only time I saw my father cry (when I was a child) was when he was watching a violinist perform. “Daddy, why are you crying?” I exclaimed in confusion and alarm. I don’t remember that he answered. My mother explained that he was moved by how beautiful the music was. I too am moved by music. (Thank you Dad.) 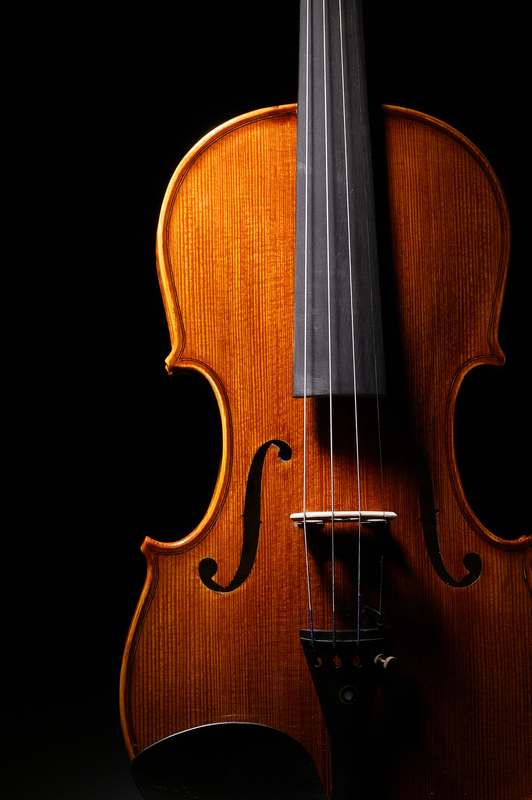 The sound of a violin or a string quartet brings back the entire aura of my childhood. But the music that moves me is music that I associate with dance, for that was my world, and not his. Or pop music from the 70’s. Other teens rebel by breaking rules and having fights that allow them to bond with their peers. I rebelled by replacing music lessons with ballet lessons and by replacing classical music with Fleetwood Mac and Aerosmith. It was the closest I could get to breaking the rules of our family, without leaving home, until I did leave home. I wonder if his father had been able to be more present, more emotional, more tuned in to him if my father would have been less self-absorbed and more able to allow for differences and dischord to coexist with love within the family. I wonder if something darker happened to my father to cause him to retreat into his own world, unable to express or share love in a mature way. How much of my tendency to retreat, to go to a place of depression and anxiety is a habit learned from him and how much is cellular, genetic? How much of the anxiety gene did I pass on to my children? They say trauma, and how one reacts to stress, is passed on through the genes. Now I see an aging man who is frightened of the end of life. Exhausted at the amount of energy required to take care of his and my mother’s survival. Unapologetic. Needing me most just as I am most determined to assert my grown up self and establish severely distinct boundaries. I wonder if I can allow my anger and disappointment to recede so that I can acknowledge what my father has given me? I wonder if anger and love can coexist? He did not show me how they could, being perhaps more conflict-avoidant than me, but it seems important to reconcile these emotions honestly so that I can model a better way of being for my children and theirs. After all, they will need to leave home and become their grown up selves. I hope they will want to visit.